Finding and Order of a Naval Court held at the British Consulate, Nukualofa, Tonga, on the 3rd, 4th and 9th days of January, 1928, to investigate the circumstances attending the loss of the British steam ship "Clan MacWilliam" of the port of Glasgow, official number 141892 when anchored at Neiafu Harbour, Vavau, and the cause of such loss and to inquire into the conduct of the master, officers and crew. The "Clan MacWilliam" was a steam ship, of 3743 tons registered tonnage, official number 141892, built at Greenock in 1918 and belonging to the port of Glasgow. 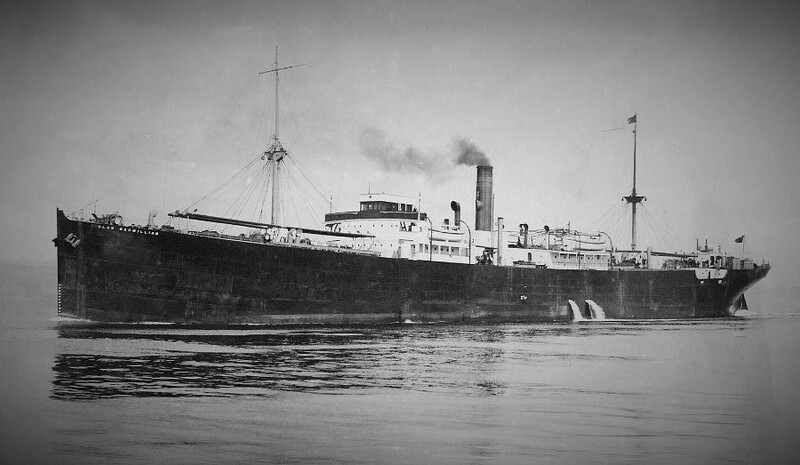 It appears from the evidence given before the Court that she sailed from Glasgow on the 23rd July, 1927, and loaded at Newport and Birkenhead for Red Sea and East African ports. She thence proceeded to Durban for a cargo for Batavia, where she discharged. She proceeded light to New Caledonia, where she loaded chrome ore. Thence she sailed for Fiji ports, where she loaded copra. From Fiji she proceeded to Nukualofa, Tonga, for copra, and thence to Vavau, the main northerly island of the Friendly Islands. She anchored in Neiafu Harbour, Vavau, at 7.27 a.m. on the 23rd December, 1927, and commenced loading copra. She loaded into holds Nos. 1 and 2. Loading continued throughout the day. Loading in No. 2 was completed at 1.30 a.m. on the 24th December, 1927, and the labour gang, which consisted of Pacific Islanders, was transferred to No. 1. About 1.55 a.m. on the same morning, the hatchman, Aleck Williams, a half caste Samoan, went down into No. 2 to see if any of the labour was still in the hold. He observed that fire had broken out. He states in his evidence that he saw one end of a wire sparking, and that he then saw a flame in the copra dust. He raised the alarm, and Joseph Hall Mellor, Second Mate, who was on watch, gave orders for hoses to be connected up and all hands to be called. The Second Mate went into the hold with fire extinguishers, which he fired without effect. At this time Apprentice Freestone, Mr. Johnson and Jeremiah Bryce were in the hold endeavouring to fight the fire, but to no effect. Shortly after 2 a.m. three hoses were playing on the fire, which by this time, according to the evidence of the Mate, looked like a blazing furnace, spreading all the time. At 3.30 a.m. No. 1 was ablaze. It contained copra. At 4.30 a.m. the fire was gaining ground, and the steamer was shifted to the head of the harbour, where she anchored in 20 fathoms-latitude 18° 40' 15" S., longitude 173° 59' 27" W. Flooding was ordered by the Master at 6.50 a.m., and shortly afterwards two life boats were lowered. At 9 a.m. the foremast sank, and shortly after the starboard side fell in. Throughout the day the fire increased in force, and at 4 o'clock a.m. on the 25th the port side fell in. At 6.45 a.m. No. 3 hatch burst into flames, and at 8.30 a.m. the stokehold bulkhead was red hot. At 8.45 a.m. the ship buckled, and the Master gave orders to abandon ship. At 9 a.m. the ship broke, plunged and sank rapidly. The evidence as to the course of the fire, the action taken by the Master, officers and crew to fight the fire, and the precautionary measures taken by the engine room staff to save the bunkers is, in the opinion of the Court, clear, and the Court finds that every possible step was taken to save the ship. The Court further finds that the conduct of the Master, officers and crew was exemplary. The Court finds that the copra appears to have been well and properly stowed, and that proper steps were taken to keep the hold ventilated. In regard to the question of the origin of the fire which caused the ship to sink the Court is unable, on the facts before it, to come to any opinion. The only direct evidence is the evidence of Aleck Williams. In the opinion of the Court the evidence of this witness is unsatisfactory. He is particularly deaf, and the Court is unable to accept his statement to the effect that it was the sound of a spark which caused him to look round at the time he discovered the fire. On this point the witness was emphatic. Again, he is contradicted by the witness Jeremiah Bryce, who gave evidence, in a manner which impressed the Court, in the matter of the rope to be used to rescue Mr. Johnson. Taking all the circumstances into consideration, the demeanour of the witness and the manner in which he gave his evidence, the Court came to the opinion that he was not a credible witness. Apprentice Freestone gave evidence to the effect that the temperature of the hold was much higher than ordinary, and it is clearly established that he went into the hold immediately the alarm was raised. At this time the Apprentice noticed a dull glare in the after end of the hold. There can be no doubt that Williams was the first person to discover the fire, but the Court is not prepared to accept his statement that the fire was caused by a wire sparking. The Court finds that the fire was burning at approximately 1.55 a.m. on the 24th December, 1927, but it is unable, on the facts, to come to a finding as to the exact time and manner of its origin. The Court has already recorded its finding as to the conduct of the Master and officers. The Court further finds that when the steamer dived before sinking, the Master, William Thomson, was on the ladder on his way to the boat, and that he went down with the ship and was drowned. At this time the Chief Engineer, John G. Dishington, was in, or near to, his cabin, and the Court finds that he sank with the ship and was drowned. Throughout the fire these two officers directed operations in a calm and collected manner, and the Court, in placing on record its high opinion of their conduct, extends its sympathy to the relatives bereaved. The expenses of this Court fixed at £12 12s. are approved. No order as to costs. Dated at Nukualofa the 9th day of January, 1928. Master of Tongan Government Yacht.